As children began to grow up, they start to have responsibilities placed on their shoulders. More often than not, these responsibilities include bills (i.e. car payments, rent, loan payments). Because of this sudden change in responsibility, children must grow into young adults and learn how to manage their money more wisely than before. To help them learn to manage their money, below are several financial tips for young adults under the age of 30. Discover what you want to do in the future. This might seem easy at first, but kids coming out of high school might struggle a bit with discovering where their passions lie. When kids graduate and simply settle into a job, they may become uneasy and inefficient. No boss or business owner wants their employees too lazy. It is better to search within themselves and discover what it is they wish to do in the future before graduating high school or college, if necessary. Learn that money is valuable. Money is not the source of happiness, but money can keep your life comfortable and less worrisome. It is better to save money than continue to spend throughout the young adult years. Older adults have found that they wished they had saved while they were younger instead of squandering their money on useless things. Bankrate.com gives a few examples of saving as a young adult. Sometimes it is necessary to spend money on things that are required for a job or college class, but it is not wise to blow all of the money earned. 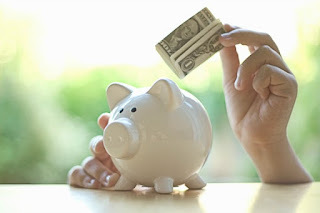 Savings accounts can become extremely beneficial to the young adult. Realize that bad things do happen. Humans cannot control the things that happen to them. A car will break down at the most inopportune time. A child will get sick when funds are low. Someone will get laid off, making money tight for the month or even several months. This particular point goes back to saving. By saving money earned in the younger years, an older adult will be more likely to have the necessary funds needed when something unexpected happens. It happens to everyone. Learn how income taxes work. Investopedia.com gives several examples of the importance of understanding taxes. By understanding taxes, young adults will learn why their money is being taken out, and they will be able to figure what their take-home pay will be. This is crucial to budgeting. Learn to budget. It can be hard to look through the bank account at the end of the month and be shocked at the lack of funds. Where did the money go? By knowing where the young adults' paychecks go, it is easier to figure out where the money is being spent. The easiest way to understand this is by starting a budget. Luckily, budgeting can also help young adults save their money. It is common to see a young adult struggling for money. After spending for college or job necessities, it is easy to squander the rest away for personal gain or fun; however, this can become a bad thing when money begins to get tight. For example, someone might become extremely sick, or the car might break down. These two things would cause tight finances. Losing a job is another of the horrible things that happen to young adults every day, and the loss of income can put stress on the young adult who is now financially aware. There is good news for young adults seeking a change. It is not required to have a degree in finances to understand the financial state of a young adult. By using these money tips, young adults can take control of their finances at a young age. It might seem tiresome to a young adult, but taking control of their finances can be beneficial to their future. Not only could it help prevent going too deeply into debt, but it can help keep the stress of financial problems at bay. Saving, learning about taxes, and budgeting are only a few of the wonderful tools that young adults can use to increase their financial awareness.